Clean lines combine with ultra-sleek high gloss to create the Bari collection. 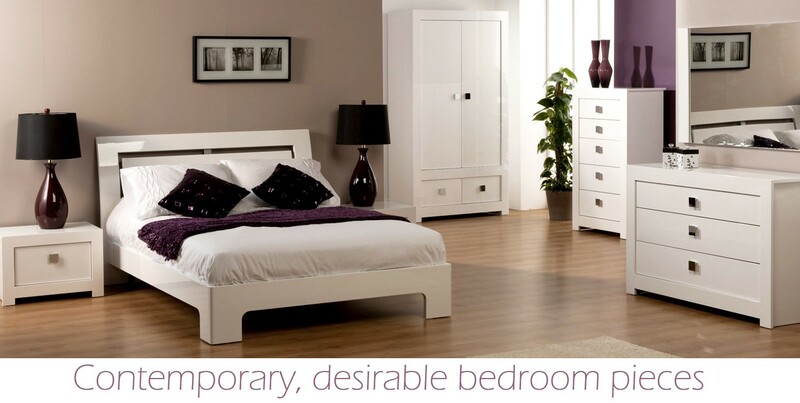 Highly contemporary and desirable bedroom pieces. Instantly enthusing your room with the feel of light and space. Bari modernises and impresses all. 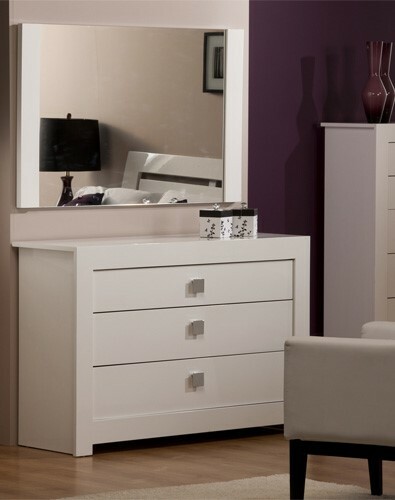 This three drawer chest from the Bari range is a great practical piece of storage for the bedroom. Holding three spacious smooth running drawers there’s plenty of space for all your folded clothing. The surface top makes an ideal space to utilise as a dresser or to simply use as display space. Finished in sleek white high gloss this chest has a natural sheen with light reflecting properties, helping to enhance the feel of light and space in your bedroom. A clean appearance with touches of shiny metal from the unique square handles gives the Bari chest a fresh and contemporary look. Constructed from strong MDF with a smooth sleek high gloss white finish. Complete with contemporary square metal handles. Due to the sleek finish of the Bari pieces they are super easy to wipe clean. Maintain a dust free finish with a duster or dry cloth and for trickier marks try a warm damp cloth before resorting to chemical cleaners. When moving your new piece as with any furniture it is always best to lift rather than push or pull to avoid incurring any structural damage. No assembly is required! All you need to do I unwrap your new Bari chest and start filling those drawers.